Naturally, an online marketing campaign has the potential to reach far more people than an offline campaign. With print, you are restricted by the limited readership of the publication, and campaigns can’t go viral like they can online. B2B companies usually enjoy more online success, but with B2C it varies. Offline marketing allows you to focus on your ideal audience — people you know are already likely to be interested in your services or products. The age bracket and profession of your target audience come into play here, as you’ll need to work out whether online or offline is the best way to reach them. For traditional marketing to be a success, you typically have to spend a significant amount more than you would online. Offline marketing usually combines print with radio and television ads — you’re paying for visibility, and you can easily exceed your budget chasing full-page ads and commercial spots in prime-time broadcasts. Online, you just need to pay for your domain name and hosting. Of course, you might want to get a web designer in, or invest in a few marketing tools to make life easier, but this will always be cheaper than traditional advertising. You can create a viral post without spending any money at all, and the coverage you’d get from that far exceeds that of a successful advert in the local paper. If you have an online store, online marketing is incredibly important. The easier it is for your customers to see the ad and then purchase the product, the better. Offline, readers must make a decision to search for your brand or visit your store, and although many might intend to, they don’t always follow through. Online marketing is infinitely better for interaction, too. Boosting engagement can help boost visibility, and word of mouth travels faster online than in the offline world. But, then again, offline advertising has a certain professional charm to it that some customers will value highly — especially those who are suspicious of online companies or distrustful of the internet in general. 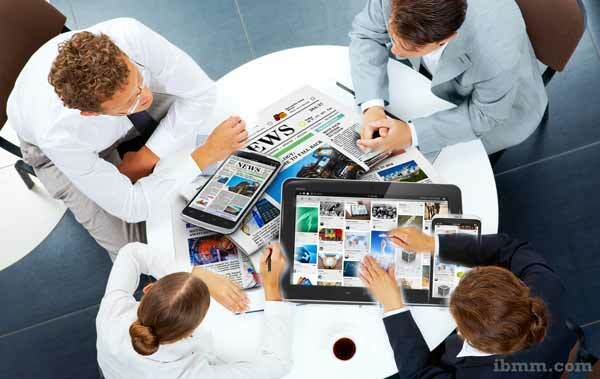 Essentially, a good marketing campaign will integrate print and online channels in a unique marketing mix. Using both in conjunction with each other can strengthen brand image, increase company credibility and make your business seem competent, professional, and serious about what they do. Offline marketing can work really well as a way of prompting people to find you online, too — include hashtags, hooks and online offers in your print ads, and you’ll drive traffic to your website and online store. 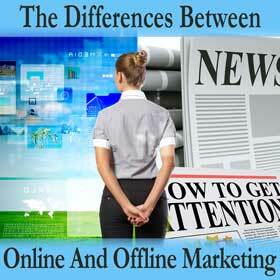 Online and offline marketing may be two different things, but ultimately, they’re not that dissimilar. Where one is weak, the other is strong, and so thinking about the bigger picture when designing your marketing campaign is essential. Don’t see them as two separate things — they’re both different halves of the same whole. Sam Wright is a freelance writer. He specialises in small business, and is currently working for Brand Republic. Marketing Emails That Work, And Why Most Don’t! For a majority of us, the first thing we see when we open our mailboxes everyday are umpteen emails promising us the best offer in town. There are some really cheap houses on sale, people offering to boost your Credit score in 24 hours and a 90% discount on designer wear!